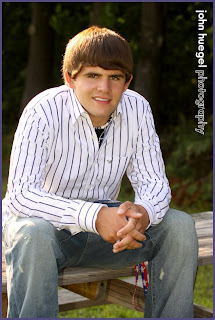 This evening Don and I headed out for his senior photos. We started at his house, and then spent some time up at the Penn State Behrend campus for some great images in the woods, bridge, fields and campus. Then it was on to Shade’s Beach where we caught some great light and water photos. Don, we got some great images tonight. 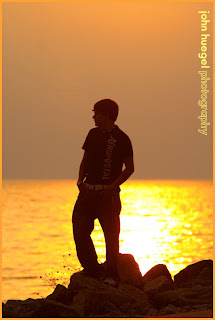 Check on facebook for more images in my 2010 album! 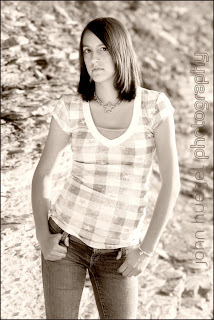 Later we headed outdoors and picked up this great shot at the beach. The surf was high and led to some great wave action at the shoreline. Great shots, Amanda! More are on the way! 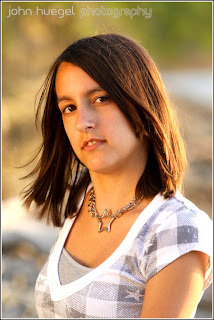 This morning we spent some time at my father’s place in the country, working on Jenny’s Senior photos. 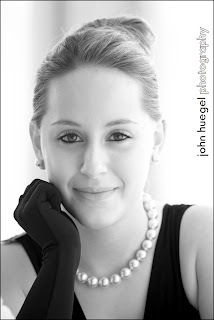 She was looking for a “Breakfast at Tiffany’s” look and some other images. The house, over 210 years old, is in immaculate condition and has many great settings for indoor portraiture. Here’s a close-up of some of the elegant images we captured in the house and on the enclosed back porch. The outdoors has over 8 acres of woods, fields, creek and wonderful landscape and gardening. Here’s a shot facing the side of the cable bridge, with Jenny carefully balanced in the middle. Thanks to Grandpa and Nana for allowing us to take photos at your place! Tonight I played bass in a band for a wedding in Fairview for actor Marc Blucas and his new wife Ryan. 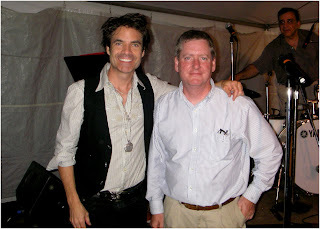 A special guest at the wedding was Pat Monahan, a former Erie resident and leader of the band Train. He asked to sing with our band, and so we ended up the backup band of Pat as he performed Drops of Jupiter and Calling All Angels. He also performed a solo song to the wedding couple entitled “Marry Me”. 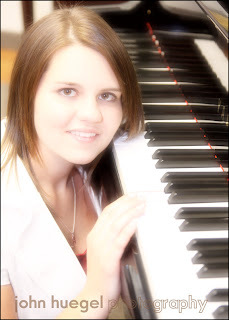 I helped the band leader work up the arrangements and we did a quick practice before the ceremony began. I am a huge fan of Pat and Train, so this was quite an honor for me. Pat was nice enough to pose for a photo with me before we broke down the stage. 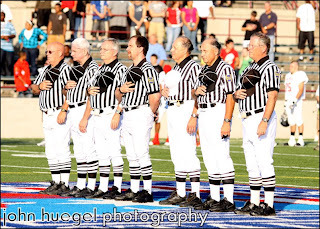 An image of the Save an Eye Game sports officials as they honor the American Flag during our national anthem. 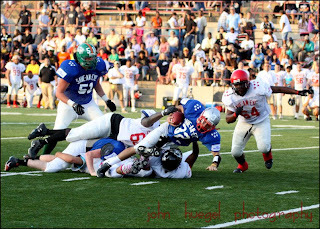 Without officials, it would not be a game. 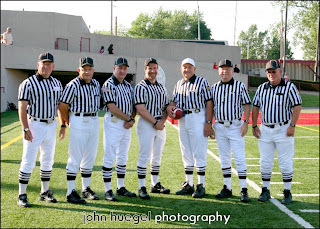 Please thank the referees, judges, umpires and others who officiate sports at all levels. They keep the game civilized and organized. 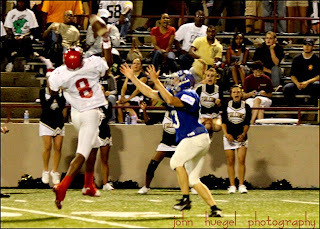 Here are some sample images from the Save an Eye game, held on July 24, 2009. I was the official game photographer, meaning I’m the only one allowed to sell images from the game. 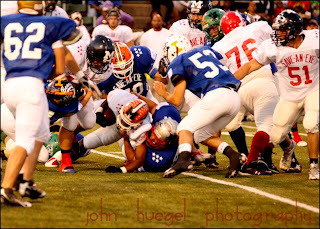 I’ll be posting all of the images from the pre-game and game on my Sessions catalogs in the next couple of days. Until then, enjoy these images! 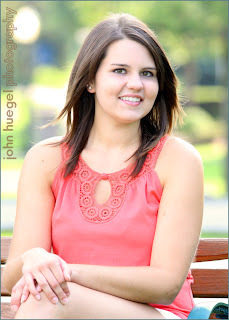 Elizabeth had a perfect summer evening for her senior portraits. 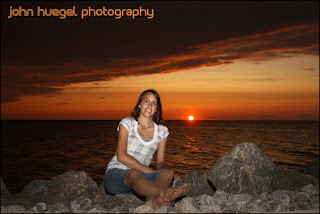 We went to several of her favorite locations and ended up at Shade’s Beach in Harborcreek at sunset. We took several great shots while the sun was on the way down, and then caught some great sunset photos as well. Then it was indoors for some great images shot with lights and backdrops. Great images, Liz! Plenty more are on the way! 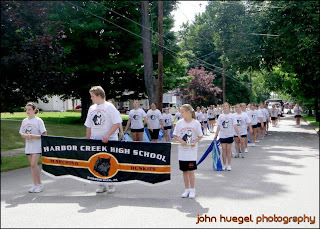 On Saturday, the Harbor Creek High School 2009-2010 Marching Huskies had their first public performance. 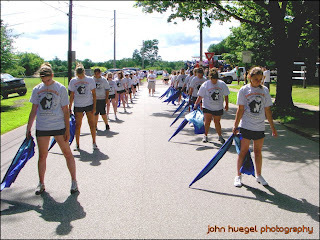 They marched in the North East Cherry Festival parade. Usually this event is either scorching or drenching, and sometimes both. But this year it was cooler, breezy and very comfortable. The band played very well and made a good showing. Congratulations to all those rookies. You made it through your first parade! Now on to band camp and a new show!